I bought recently a used HP 15c calculator. 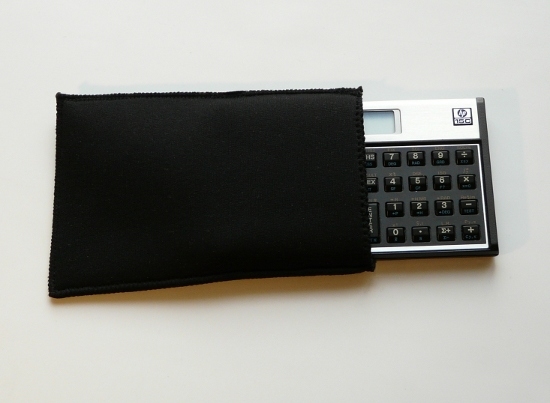 Hewlett-Packard made in the 80's two very successful pocket calculators: The HP-15c a scientific calculator and the HP-12c a financial calculator. Both were top quality machines and they were part of a series called the Voyager calculator series. The HP-12c continued production until today and the HP-15c was replaced by "much better scientific calculators". Those "much better scientific calculators" had more memory, more function and some could plot graphs. However none of those were as handy as the HP-15c. I was an engineering student in the 80's and the HP-15c was just perfect for me. I continue to use it until today. 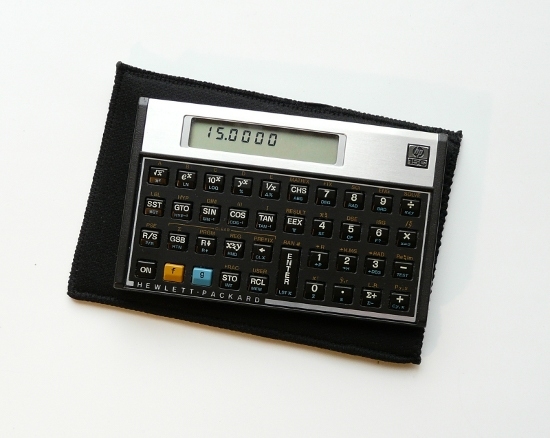 I use it not because my PC/smartphone/tablet have no built-in calculators but because it is simply pleasant to use and I make rarely any typos or errors when entering numbers. The keyboard layout and size, the quality of the keys and the reverse polish notation make it just the perfect calculator. In any case I wanted to have a second HP-15c for use in the workshop and I bought one on ebay. It came without a pouch/case. I started then to look for a suitable case and found a "real leather case". It seemed like a good choice with leather being a durable high quality material. I used it a few times but I saw soon the problem. The original HP pouch was made of synthetic leather but real leather alone is not really an elastic material. An unpadded real leather pouch can only be too tight or too loose. In my case it was a bit too tight and it was difficult to get the calculator out. This is when I decided to design my own pouch. I bought a square meter of black neoprene. Neoprene is a rubber padded material that was originally designed for diving suits but found its way into laptop sleeves and all kind of other applications. I cut out two rectangular pieces of neoprene and sewed them together on the sewing machine. I am using this pouch now for a couple of weeks and it is just the perfect pouch. It is even better than the original HP synthetic leather pouch. The calculator slides in and out easily yet this pouch holds it tight and protects it really well.